The scent is of Tiffany's signature eau de parfum. Jeweller Tiffany & Co has placed a 43-feet Christmas tree with more than 1,800 decorations in the arcade at St Pancras station in London. 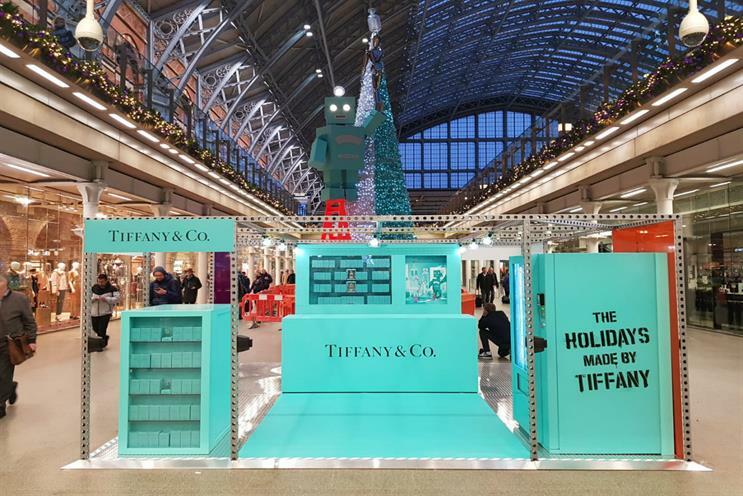 It features hundreds of bottles of the brand's eau de parfum, launched by Coty last year, as well as baubles and a giant robot made of Tiffany's familiar blue boxes. The tree is "pumping out" the eau de parfum scent, with the aim of creating a sensorial experience for shoppers, while a pop-up, located under the tree, offers fragrances and gift-wrapping services. The tree is in place until 4 January.